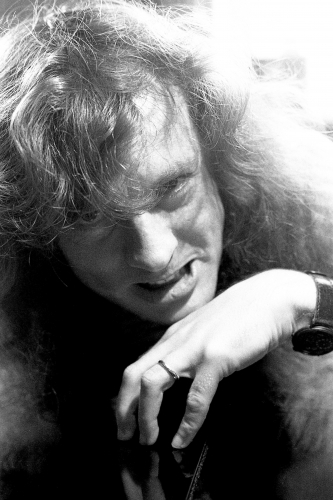 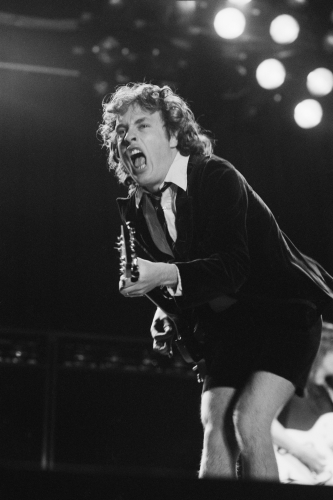 but their influence has been felt globally, since their violent burst on to scene with appropriately-named debut album ‘High Voltage’ in 1973. 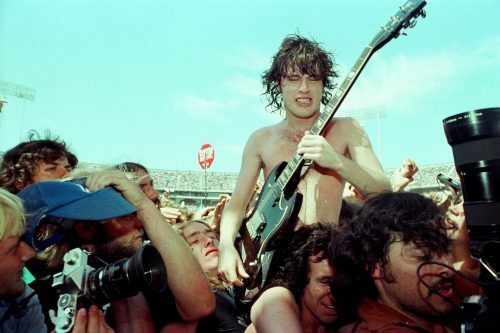 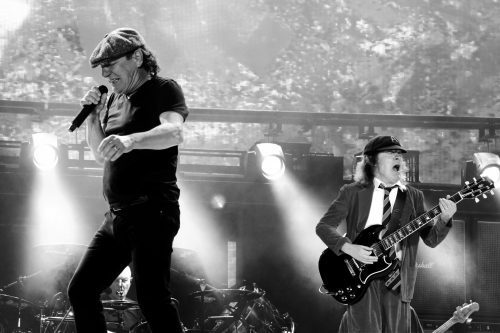 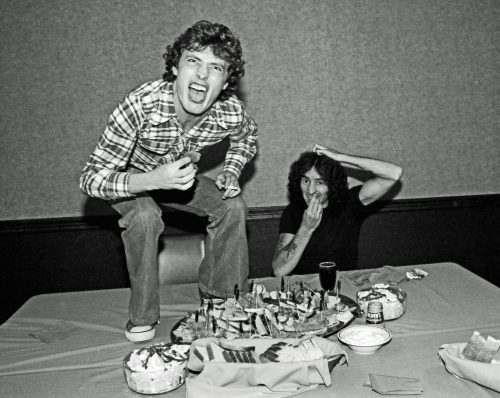 Formed by guitar-playing brothers Angus and Malcolm Young, AC/DC’s impact on rock has been characterised by the siblings’ musical partnership. 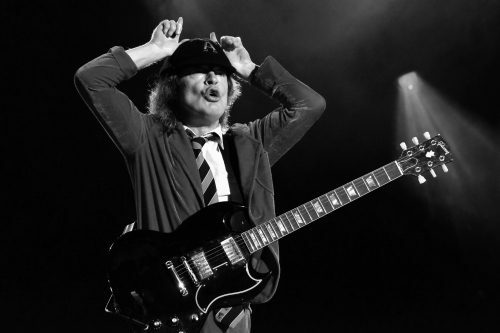 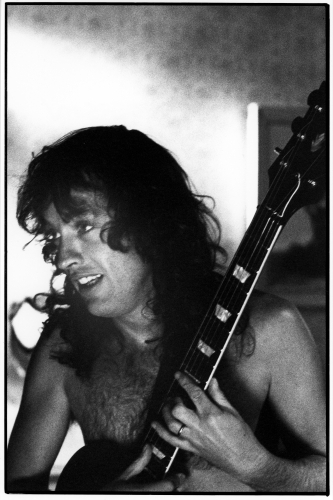 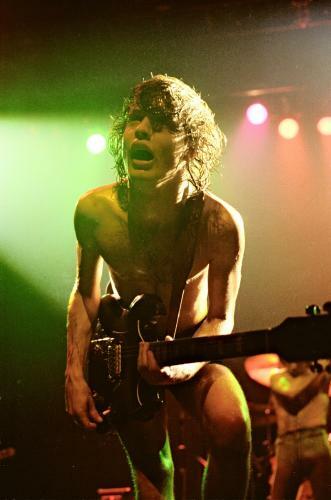 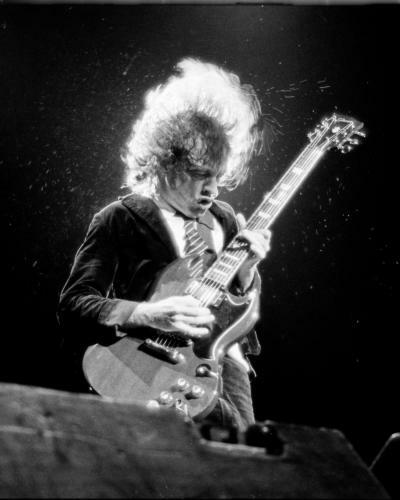 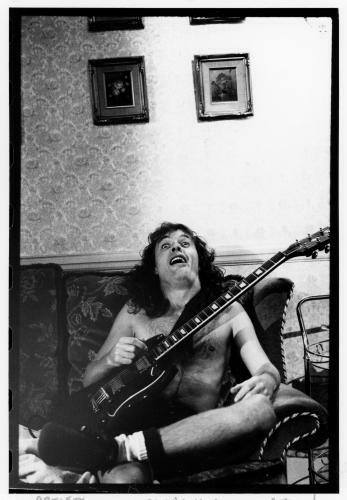 Malcolm forged the groove-laden backbone for unmistakable riffs like ‘T.N.T.’ and ‘Highway to Hell’, while Angus gave the band its visual identity with his devil-red Gibson SG guitar and mischievous school boy uniform. 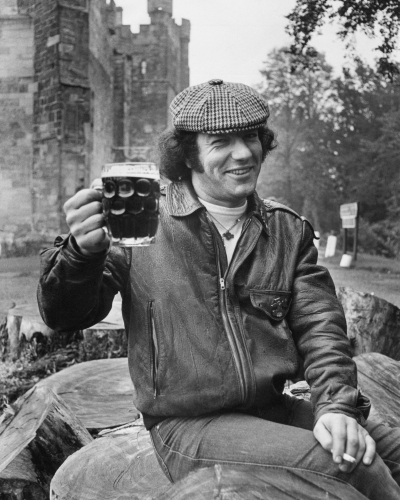 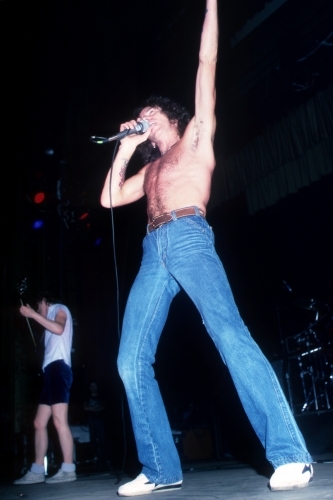 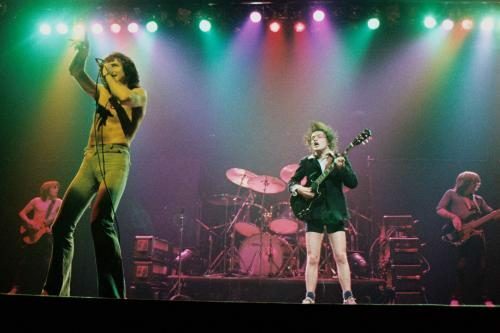 While AC/DC’s 1975 single ‘It’s a Long Way to the Top (If You Wanna Rock ’n’ Roll)’ accepts the hardships of life in a hard rocking band, it couldn’t predict the sudden death of frontman Bon Scott in 1980. 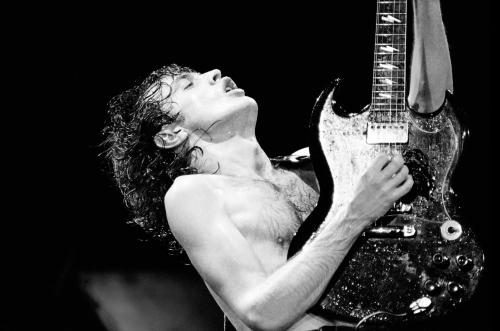 These images are a reminder of their incredible immortal legacy.